Can a new data tool funded by the EU go beyond state shaming tactics? Monitoring Indigenous Peoples’ rights around the world may have just gotten a bit easier, thanks to a new tool called the Indigenous Navigator. The Navigator is an interactive watchdog that allows users to keep track of the implementation of the United Nations Declaration on the Rights of Indigenous Peoples (UNDRIP), outcomes from the World Conference on Indigenous Peoples, and key elements of the Sustainable Development Goals — more than one-third of which are related to UNDRIP. Local communities respond to a questionnaire either via the website or through a downloadable paper version. The information is then processed through a globally accessible system that allows users to make a variety of comparisons with both international and national laws. The questionnaire — made for both states and local communities — includes information about sectors such as health and education, and prompts communities to consider not only the presence of such services, but also whether their languages and traditional methods of healing are integrated and fully accessible. Both the Navigator and questionnaire were developed and refined through the support of communities and organizations in Peru, Suriname, Cameroon, Kenya, Thailand, and Nepal during the initial pilot program. Gathering local information in the context of international laws is especially useful for communities who are unaware of the specific protections enshrined in international law. For example, when the Navigator was tested in Nepal, women learned that they had a right to participate in decision making. 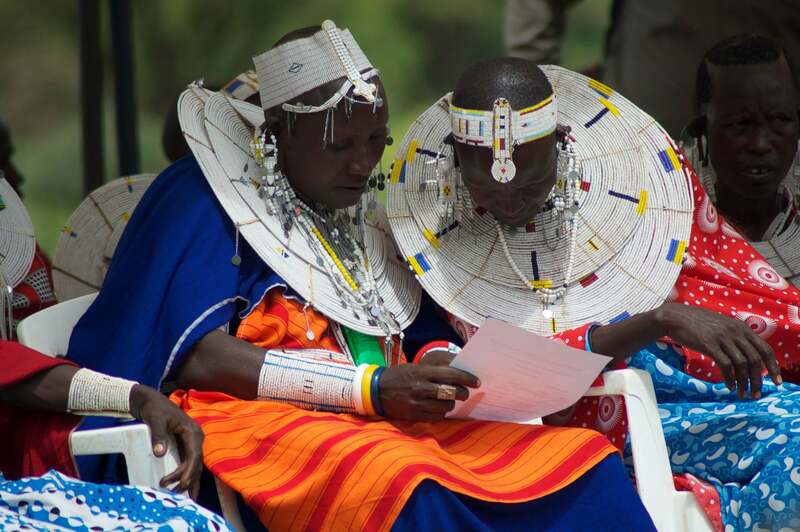 Empowered with this knowledge, women approached local officials and exercised their rights. They insisted leaders consult and include women in decision making, budget design, and laws against gender-based violence. 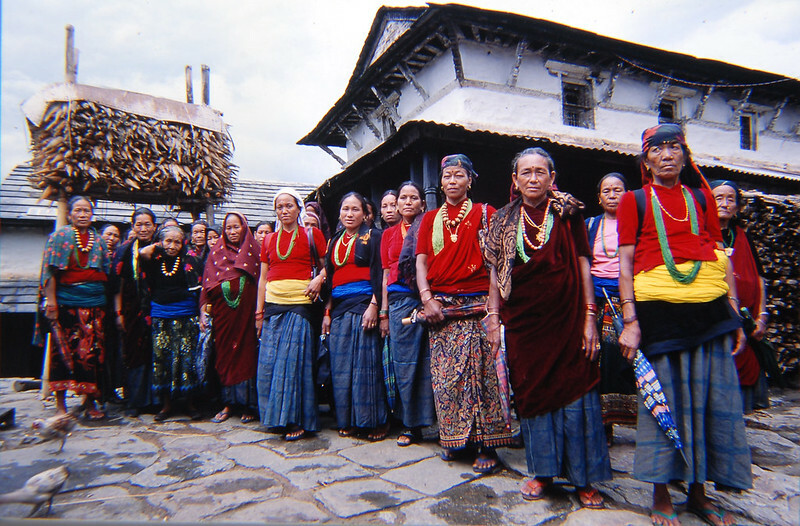 “In certain municipalities [in Nepal], there are actually funds that are meant for women — but women did not know. 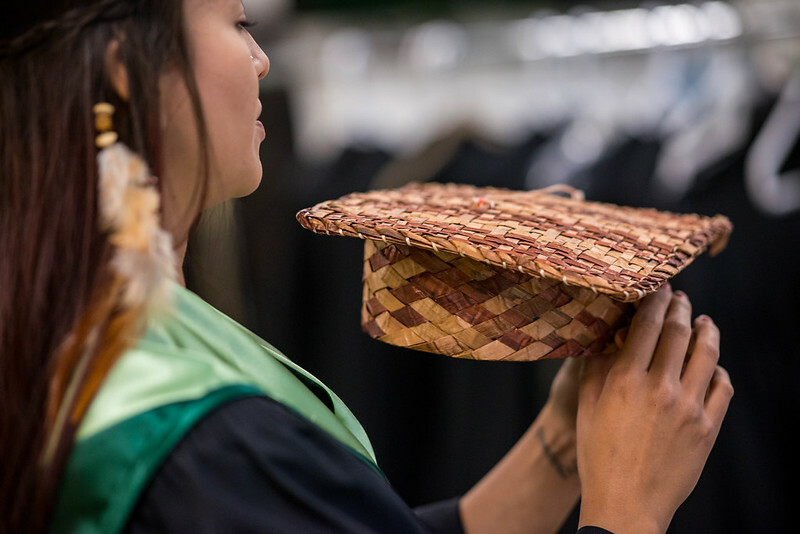 So now they are claiming that the funds should be used according to what Indigenous women define as their priorities and needs,” said Joan Carling, co-convener of the Indigenous Peoples Major Group for the Sustainable Development Goals. The tool not only helps monitor the implementation of Indigenous Peoples’ rights, but also identifies their contributions to the UN’s Sustainable Development Agenda. One of the most advantageous features is a comparative matrix of UNDRIP and other international protocols, saving users the trouble of analyzing documents one-by-one. Lack of knowledge is not the most pressing problem for every community. For some, the Navigator replicates what is already well-known. “I would like to see, under their maps and data, specific populations that are affected by any state agreement or any state behavior,” said Rudolph Ryser, Chair of the Center for World Indigenous Studies. In other words, policies don’t always match realities. For example, Bolivia enshrined UNDRIP into its constitution almost ten years ago, not long after the declaration was formally adopted. 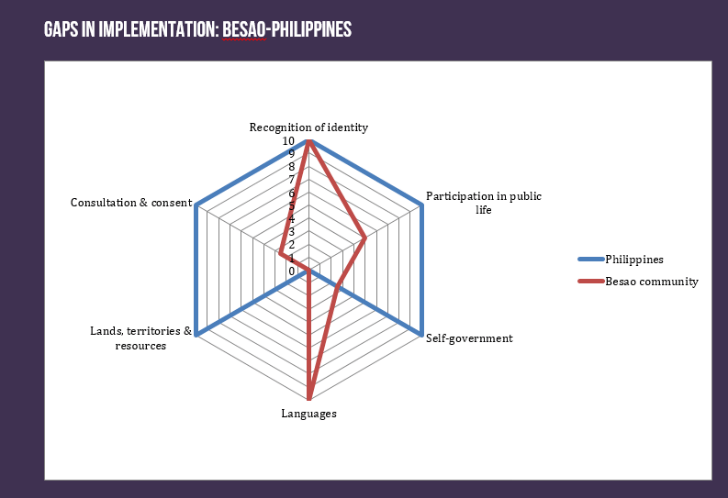 Yet, while the country supports Indigenous Peoples’ rights on paper, Ryser points out that such policies have not translated into tangible improvements. Indeed, climate change, competing national interests, and pressures from oil extracting companies continue to undermine progress. 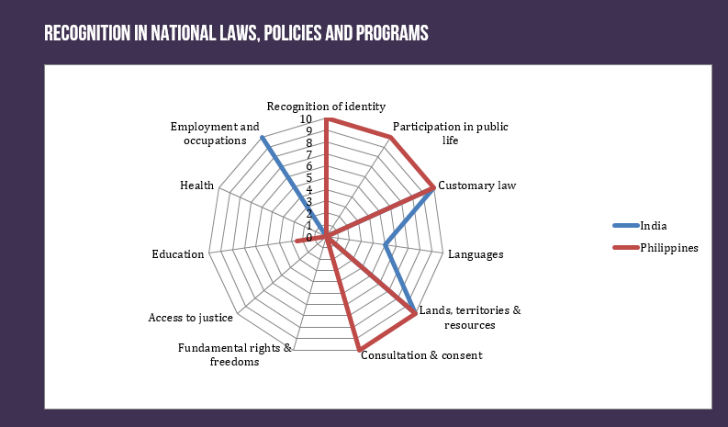 The Navigator is designed to render these gaps more visible, but while the data for pilot programmes is already available, the website — to be launched officially in September, on the 10th anniversary of UNDRIP — is still ironing out a few kinks. 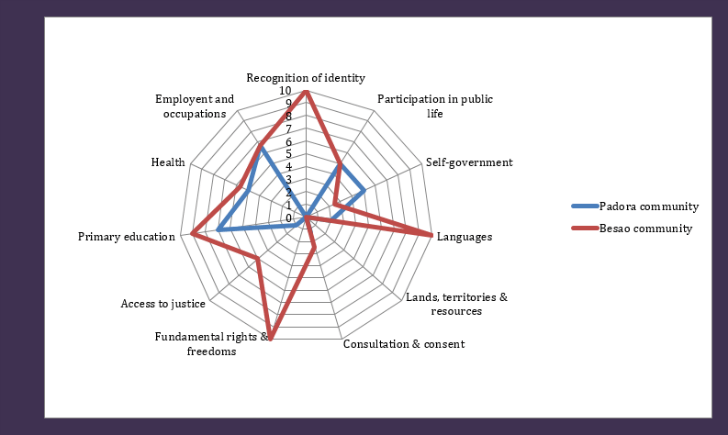 As Carling explained in an interview with Intercontinental Cry, users will be able to select various indicators, such as access to justice, health, identity recognition, self-government, and a host of others, determined relevant by communities themselves. Those indicators, evaluated and rated by local communities, are then compared to national-level responses. The result is a matrix allowing the types of observations that Ryser says we need. The catch is that the Navigator relies on communities to provide the data, which means the matrices will not be fully functional until data collection is complete — no easy task when language barriers, a lack of access to technology and the remote location of many indigenous communities stand in the way. Though available in French, English, and Spanish, the tool relies on the contributions of local-level actors to provide translations and ensure that paper copies of the questionnaire are delivered to communities. Still, once it is available, such data could mobilize Indigenous communities to work with international partners to put pressure on states. 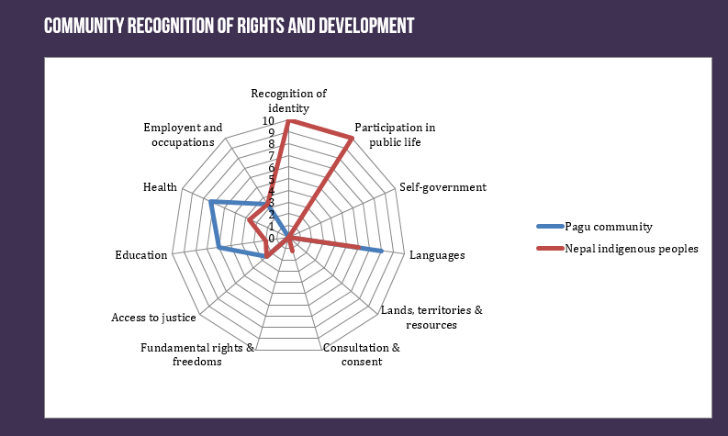 Furthermore, as Carling explains, the Navigator allows policy makers and advocates to frame the Sustainable Development Goals from a rights-based approach, as each goal has important connections to the rights of Indigenous Peoples. But that kind of pressure, as Ryser points out, needs to translate into concrete policies from states themselves, as well as accountability incentives that go beyond naming and shaming. Indeed, naming and shaming is a favorite tool of the international community, but new research shows that it does not work. In a study published earlier this year, Rochelle Terman, a researcher from Stanford University, found state shaming frequently generates a backlash. The blame game alienates politicians and leads them to double-down on poor behavior and rights violations. Mobilizing at the local level is undoubtedly a potential strength of the tool, although it boasts some rather significant international backers. The European Union (EU) is the primary supporter of the Navigator, and developed it in collaboration with the Asia Indigenous Peoples’ Pact (AIPP), Forest Peoples’ Programme (FPP), Tebtebba Foundation, Danish Institute of Human Rights, International Labour Organization (ILO), and International Work Group on Indigenous Affairs. Having allies in the European Council is a potentially strong asset for those calling for action beyond state shaming. Just months ago, the Council released a set of conclusions reaffirming EU commitments to “EU funded programmes and projects” as well as “further dialogues,” the latter of which has support from organizations like the Indigenous Peoples’ Centre for Documentation, Research, and Information. Moreover, the EU has the capacity to implement measures that international organizations like the United Nations (UN) do not. In 2016, the EU released its external policy on Indigenous Peoples, which relies on international agreements such as UNDRIP — just like the Navigator. It cites measures including EU trade policies, financing, and legal frameworks to protect activists as part of its external policy. It also lists specific initiatives like sponsorship of regular dialogue, traditional health services support, and capacity building of local leaders to improve their ability to lobby for rights at regional and national levels. Clearer data on implementation gaps could, therefore, enable Indigenous Peoples to hold the EU accountable to such commitments — particularly given that the Navigator is largely possible due to support from the EU itself. Still, lobbying at that level would require considerable collaboration between communities, the type of which Ryser says is necessary. Where is the Navigator headed? The next phase of the Navigator will target those living in Colombia, Bolivia, Tanzania, the Philippines, Cambodia, and Bangladesh, but Indigenous communities anywhere in the world are encouraged to submit their data. Meanwhile, the International Work Group for Indigenous Affairs (IWGIA), an international NGO based in Denmark, is working to secure international support to get more communities on board with the Navigator. 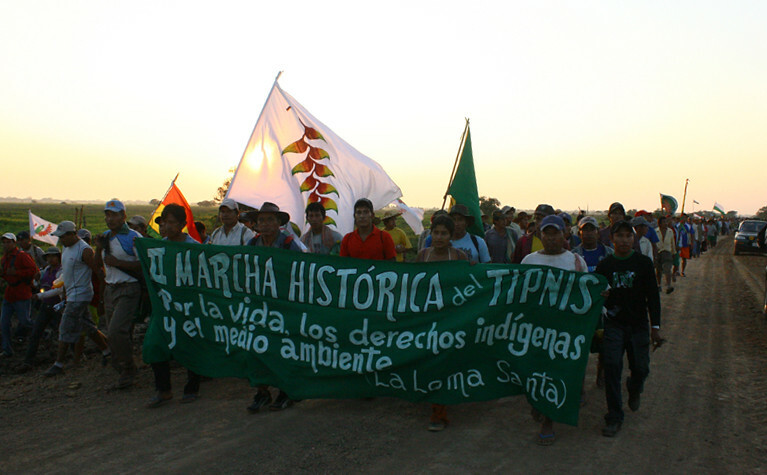 That includes support from the Special Rapporteur on the Rights of Indigenous Peoples, the Expert Mechanism on the Rights of Indigenous Peoples with the UN Human Rights Office of the High Commissioner (OHCHR), and the UN’s Permanent Forum on Indigenous Issues, the latter of which has already recommended the tool. The website will launch officially when the UN General Assembly meets in September. There, a side event will mark the 10th anniversary of the adopted of UNDRIP and announce the Indigenous Navigator. Over the next three years, IWGIA anticipates bringing the Navigator tool to some 88 communities in 11 different countries. Elizabeth Walsh is an American journalist in Paris. She covers women, peace and security in the Middle East as well as feminist currents in foreign policy. She produces videos for France24 and has written for The New York Times, Middle East Eye, United Nations, and others. She has a master’s degree in international affairs from Sciences Po and bachelor’s degrees in literature and gender studies from the University of Virginia. She speaks English and French.